The leaves of the rose flower are borne alternately on the stem. The flowers of most of the species have five petals. The beauty of a rose lies in its petals and color. 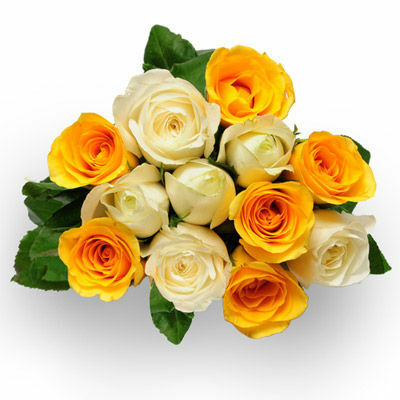 Expressing your feelings with the blend of yellow and white rose is the perfect way to tell them how much you love and care for them.